FutureQuake 14- All Sold out! Thanks to all the creators of the strips, along with all those who bought copies of the book, FutureQuake 14 has gone to join the giant archive in the sky. Remember- at FQP we can’t maintain eternal print runs- and when they are gone they are gone. We might produce a digital version, but the print edition will never be back. Word has reached us here at FQP of an upcoming event for those of you in the Greek vicinity! 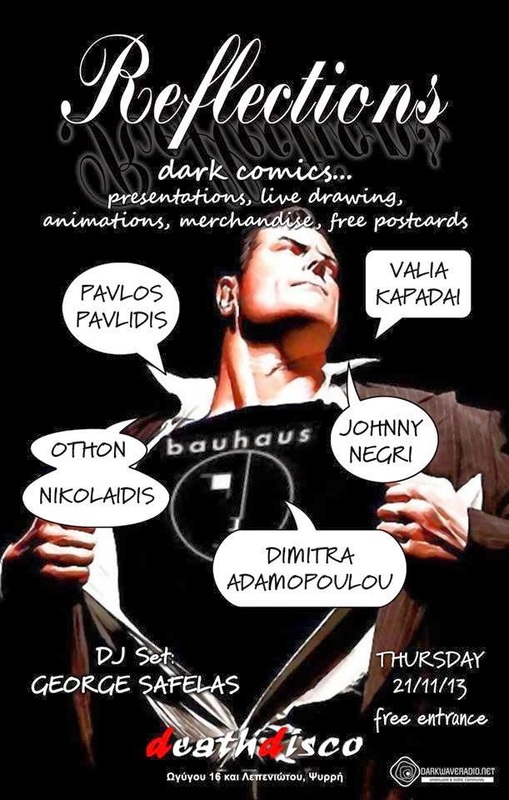 Something Wicked creators Pavlos Pavlidis and Valia Kapaldi are exhibiting artwork on Thursday 21st. 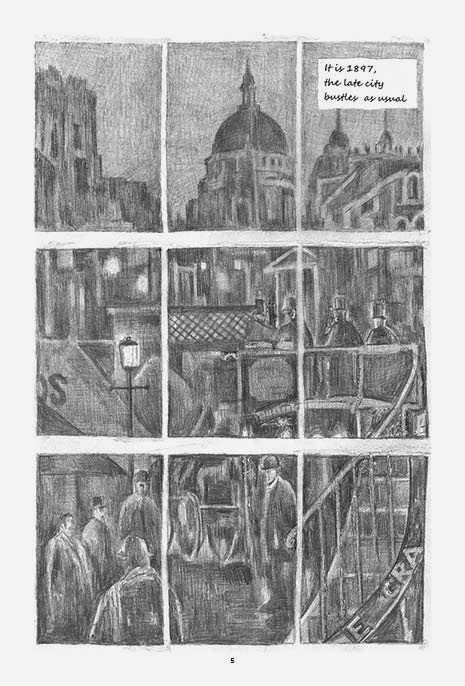 Pavlos will be sharing the full size art pages for the strip ‘Shambling Towards Bethlehem that is available now as part of the current issue of Something Wicked. Fingers crossed for an awesome event Pavlos, wish we could be there! 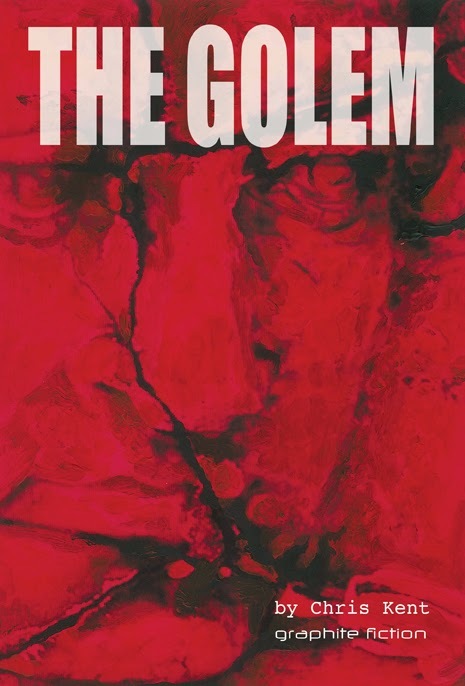 The Golem, By Chris Kent. What is it?– Alfred Larchmont is a struggling magician in the late 19th century. He comes into posession of the titular Golem and his life changes forever. Relationships are changed and secrets revealed. The good- Chris has built a solid story with a memorable lead. The design work throughout is flawless, with some beautiful page layouts. 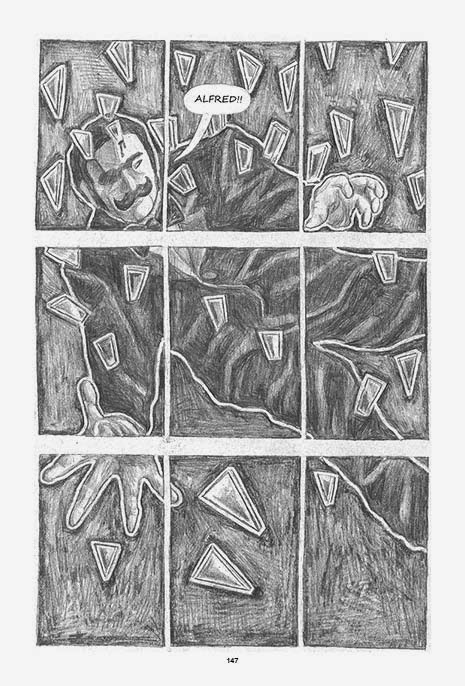 The artwork, all lovingly rendered pencils, is expressive and dynamic throughout the book. Chris has based the majority of the pages on a nine-panel grid and he uses this technique very effectvely, leading the reader through the work at a pace he dictates. The bad- Occasionally the story isn’t as clear as it could be, especially once the story hits the final act. This is a shame as the plot builds to a grand climax and the final closing pages are almost perfect in their execution. I would have liked some more scenes with the secondary characters exploring their motives, but I am aware that every story presents its own challenges for the creator in terms of what to show, and what to imply. The result- Chris Kent is going to tell you a story. It’s not all obvious, it’s not all pleasant, but it is gripping and will stay with you long after you finish the initial read. I really recommend this book and will be looking forward to more from Chris. …and I’m getting my act together! Going to have some really cool stuff this year, what with the new comics and the Zarjaz postcards too. Drop by and say hi. and look what David Frankum did for me! This time next week everyone will be able to get there hands on paper copies of the book to see why this is such an awesome comic. Don’t miss your chance. Here we go with attempting to put all the reviews in one place for the latest crop. First up is Forbidden Planet, who had some words to say about Drokk! As always- if you spot anything, drop me a mail and let me know where to find it.